A salade nicoise is a traditional French salad (I’m assuming it’s from Nice) with (at least) tuna, boiled eggs, and also potatoes, green beans, olives, tomatoes, and capers. It’s all arranged on a platter, instead of being tossed together, and is flavored with an anchovy dressing. This was a quick version built from what I had in the fridge. It’s actually quite healthy, packed with lean protein and vitamins. Chipotle makes it kick. Anyone who knows me is not surprised by the chipotle – I puree a can of chipotle-in-adobo and keep it in the fridge to add to sauces, marinades, stews, meatballs….and anywhere else I can fit it. Actually, this has got me thinking. Let’s see how many recipes I’ve put chipotle in. Holy chilies, Batman! I think I have a bit of an obsession. Okay, back to this salad. Boiling eggs: Put an egg in a pot and cover with cold water. Bring to a boil and boil for six minutes exactly. Pour cold water over the eggs and peel. They’ll be cooked through, but still a little soft in the center without that sulfur-y black layer around the yolk. If you need to make a lot of boiled eggs, do this. 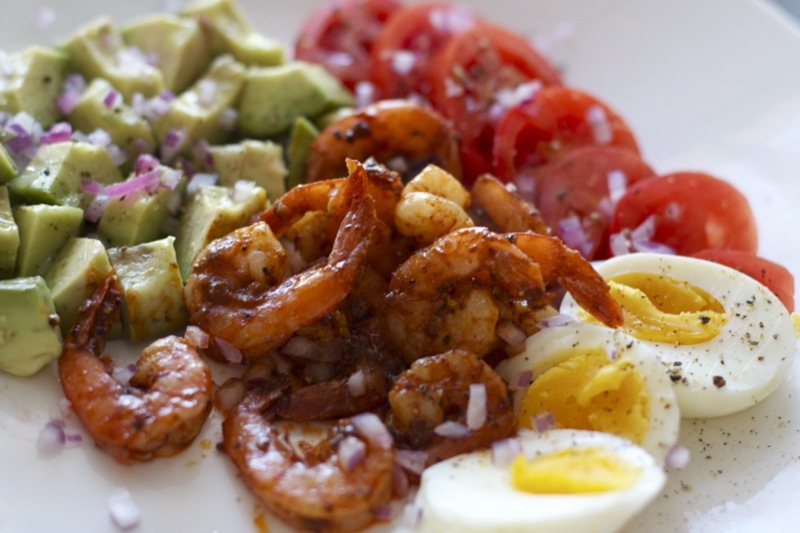 Cooking the shrimp: Mix together the lime juice, a bit of oil, and the chipotle till it makes a loose paste. 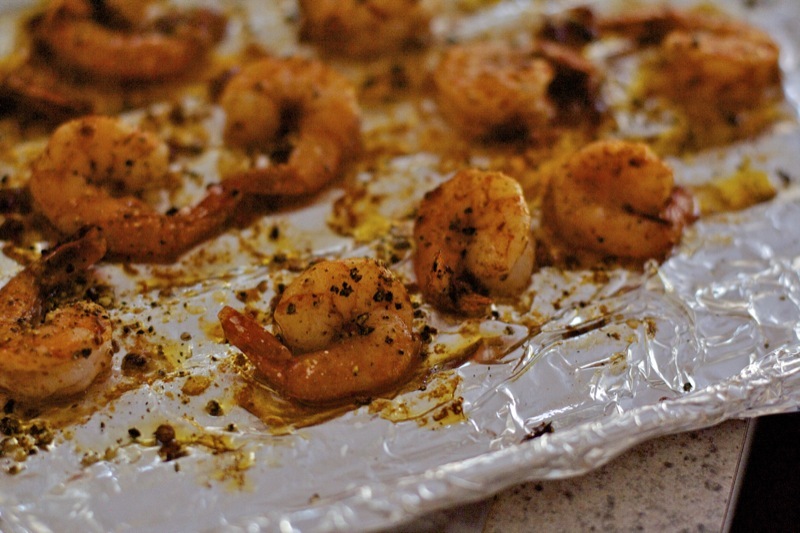 Mix it with the shrimp and place them onto an oiled baking sheet. Salt and pepper the top. Roast for 6 minutes at 400F. 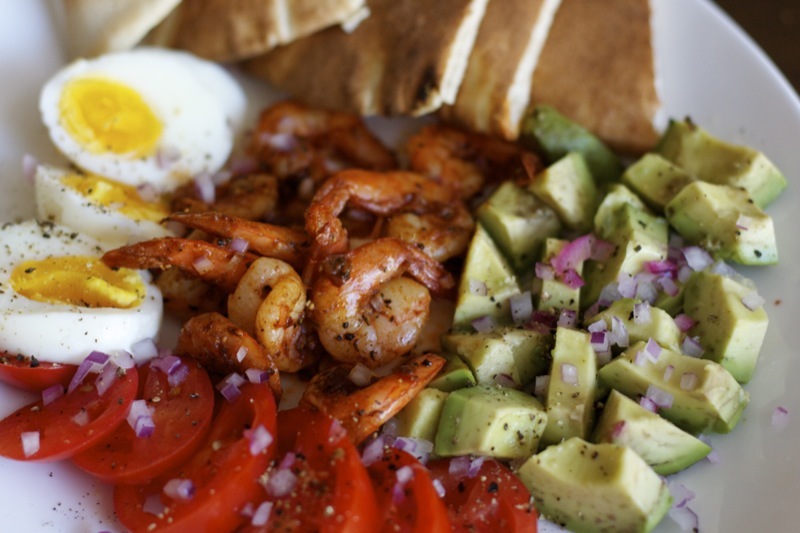 Arrange everything on a platter and squirt with citrus juice, sprinkle with salt, pepper, and red onion. you are making this for me next time i come over. just letting you know indefinitely ahead of time.